yesterday i spent a wonderful day in oberwald. ninas mother spends at least a week per year there, mostly with some friends. she invited nina and me for the weekend, to do some cross-country skiing. 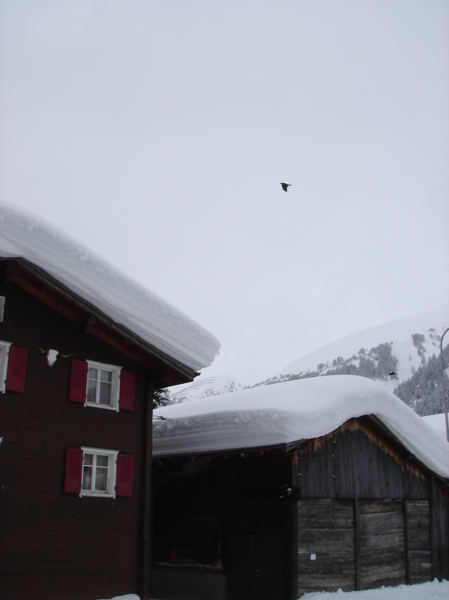 it always amazes me how much snow you can find in oberwald. it makes the ugly slush you find here in bern feel even nastier. oh, the cross-county skiing was great, thanks for asking. this time we tried with rented equipment, so we could skate, which is even better than doing it the classic way.